Luohu is the trading and financial centre of Shenzhen. It is famous throughout Guangdong and Hong Kong as a shopper’s paradise. Its four top shopping areas, Luohu Commercial City, Dongmen, Guaomao and Diwang, are all known for selling cheap fake goods, from DVDs all the way to designer bags, clothes and accessories. Luohu also hosts the immigration check points, controlling those travelling from the mainland to Hong Kong. 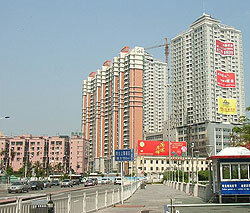 Though it was Shenzhen City’s first district, Luohu was established only in 1979. Prior to its construction, the government had to flatten numerous hills to permit the district’s infrastructure to be built.